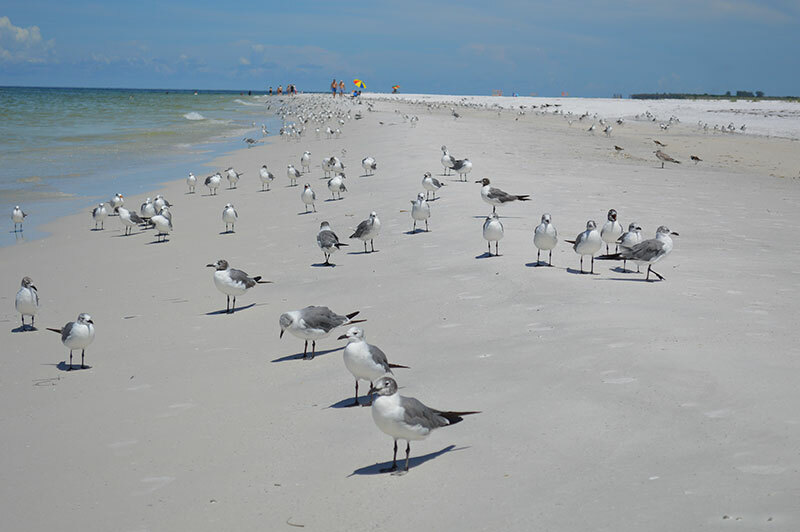 How will red tide affect the Labor Day weekend turnout on Anna Maria Island beaches? 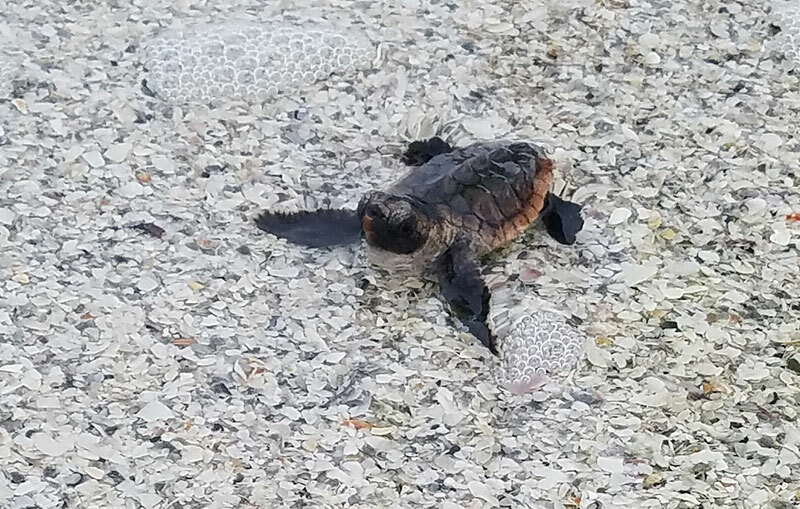 With some mature female sea turtles still nesting and hatchlings emerging by the thousands from nests, Anna Maria Island Turtle Watch and Shorebird Monitoring executive director Suzi Fox says she hopes people are respectful of wildlife during the holiday weekend. As of Aug. 26, AMITW reported 197 nests remain to hatch of 527 nests in 2018 — a record-breaker for loggerheads nesting on AMI. Ensuring people are aware of turtle-friendly practices is a concern for turtle watch during nesting season, which runs May-October, but, especially on holiday weekends. Female sea turtles only leave the water to nest — mostly at night — on island beaches. Any distraction on land could lead to a false crawl — a failed nesting attempt. 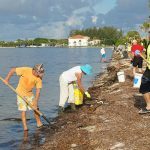 Beach furniture, including umbrellas, chairs, canopies and large flotation devices need to be cleared from the beach after sunset, according to sea turtle ordinances in Anna Maria, Bradenton Beach and Holmes Beach. Hatchlings follow the light of the moon and stars reflecting on the surface of the water upon emerging from nests on the beach. Each nest contains about 100 hatchlings that usually hatch all at once and, if lights visible from the beach distract them away from the water, they can disorient, become exhausted and perish from predation or dehydration. Sea turtle regulations in the island cities require exterior lights be in low and shielded fixtures with Florida Fish and Wildlife Commission-approved bulbs, and interior lights must be blocked by blinds or curtains after dark. Additionally, holes dug on the beach can be a trap for hatchlings on their way to the Gulf and also a danger for humans. 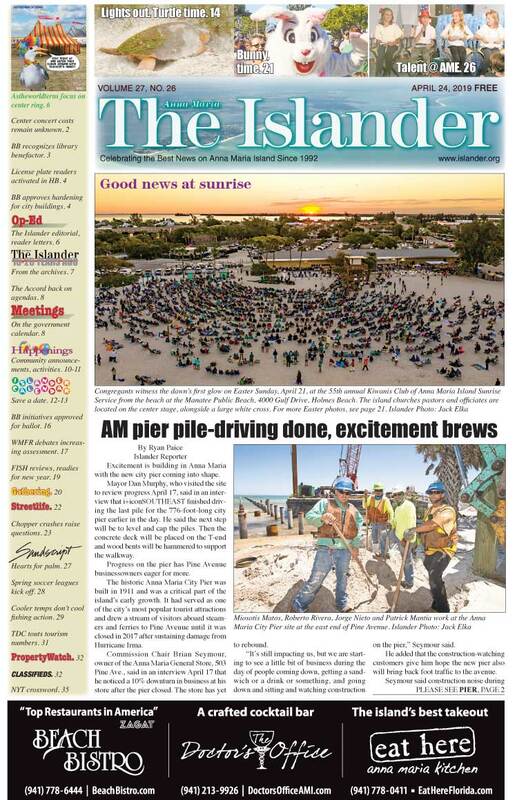 A fireworks display is planned to take place after sunset Monday, Sept. 3, at the Sandbar Restaurant, 100 Spring Ave., Anna Maria. Fox said before the crowds arrive to the beach, AMITW volunteers will pound stakes in deeper and add fluorescent ribbon to the handful of nests in the area, but she remained concerned for shorebirds. 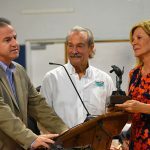 She said thousands of shorebirds were “resting” Aug. 21 along the shoreline, including laughing gulls, sandwich terns, black skimmers and blue herons, reserving energy diminished from lack of uncontaminated fish due to red tide. 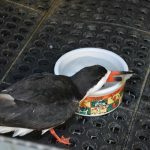 Fox said beachgoers should give the birds a wide berth, keeping 10 feet away at least. While the fireworks display at the Sandbar is authorized, Fox said illegal fireworks set off by people attending the event are a concern. In addition to their loud noises and bright lights, illegal fireworks create debris on the beach that can harm wildlife. In the island municipalities, illegal fireworks can result in a $500 fine. For more information on AMITW, contact Fox at suzifox@gmail.com or 941-778-5638. Just what our shores need. Fireworks. 🙄 poor turtles. Between the red tide and the fireworks the wild life doesn’t really stand a chance.